In addition to a slew of museums, galleries, and green spaces, Chinatown is renowned for its cuisine, ranging from traditional Chinese fare to fusion Chinese-Korean dishes, many of which are culturally and historically significant to the area. Although I was interested in learning about the food, I was more concerned with pacifying my growling stomach. We weren't on the main strip of the neighborhood ten minutes before a vendor offered up a blackened chunk of meat on a stick, fresh off a makeshift grill. There was no stopping us after that. A gentleman passed out free kebabs to passerby on Chinatown Street. Just across from the meat man, I noticed a Chinese bakery I remembered visiting on my previous trip. I asked if we could stop in to pick up some snacks. My friend Marie and I grabbed a basket and went nuts, grabbing whatever was at arm's length. First, we went for the green tea and pineapple moon cakes. These traditional Chinese cookies are named for their full moon shape and are given as gifts in China during the autumn harvest. 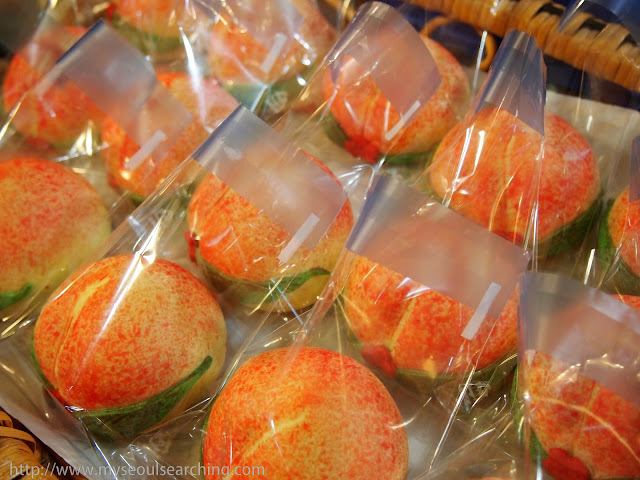 They are usually stuffed with various ingredients ranging from nuts to vegetables to fruit and can be found just about anywhere in Chinatown. We continued to fill up our basket with delicate sweets when we were summoned to the other side of the shop by the aroma of baking bread. 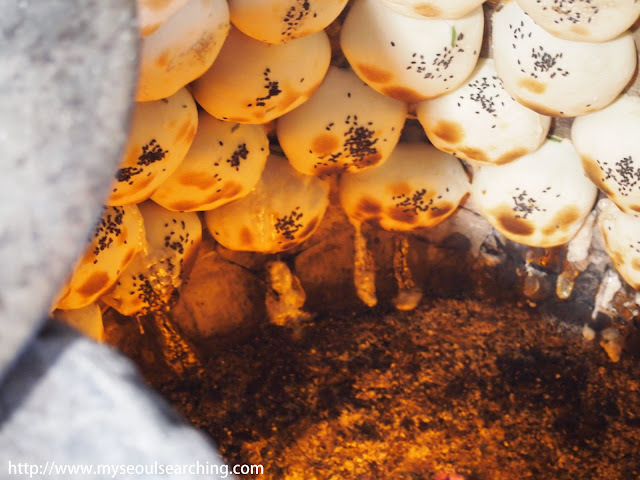 As we walked toward a gentleman rolling out dough and dusting it with a fine flour, we could see rows of konggal ppang (공갈빵, "empty bread") puffing out in the ovens. This bread, which is glazed with honey, is super light and airy and is a big draw to the shop. Samples of the snack were provided at the register and we were quick to try them. The director requested we shoot several takes of this sampling and I was more than happy to oblige. 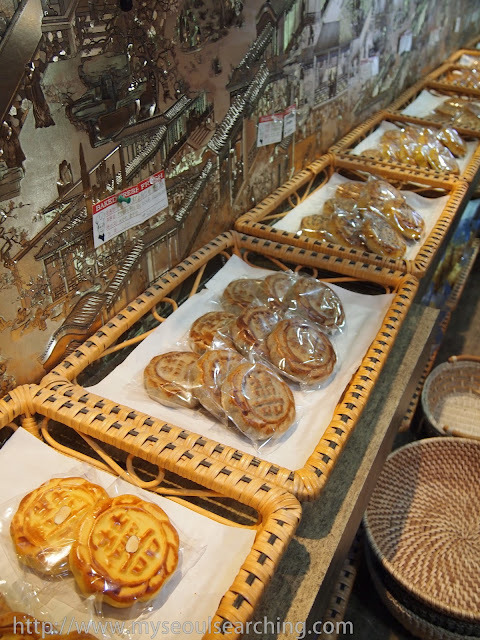 Beautiful snacks for sale at the Chinese bakery. We went a little crazy with the moon cakes. 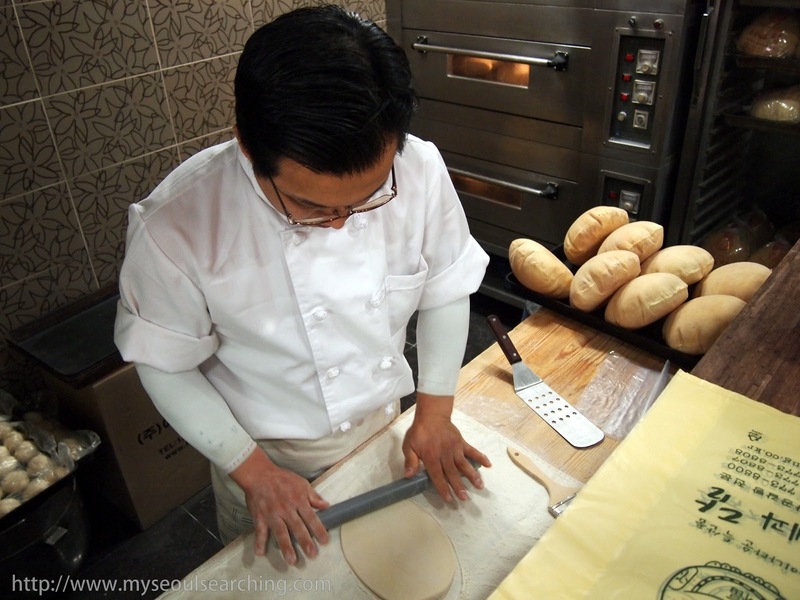 A baker rolls out dough to make "empty bread." Just a few hundred feet down the road, we saw a long line of anxious looking people and streams of rising steam at a small food stall. We wasted no time claiming our spot in line to taste whatever was being sold. It turned out that this famous little joint called Hwadeok Mandu (화덕만두) served up onggibyeong ppang, tasty dumplings cooked in an onggi, a ceramic crock similar to an Indian tandoori. Vendors worked ferociously to make and cook these morsels of deliciousness and were more than happy to let me snap some photos as they did their thing. I debated whether to order pumpkin, sweet potato, or meat (1,500- 2,000 won each) and I ultimately settled on meat. The filling tasted similar to that of a Korean dumpling but the outside was nice, crispy, and dangerously hot, perfect for the chilly weather. We had no problem waiting twenty minutes in line for these dumplings. Dumplings bake in a ceramic crock at Hwadeok Mandu. I barely had my dumpling down when I spotted a colorful fruit cart. 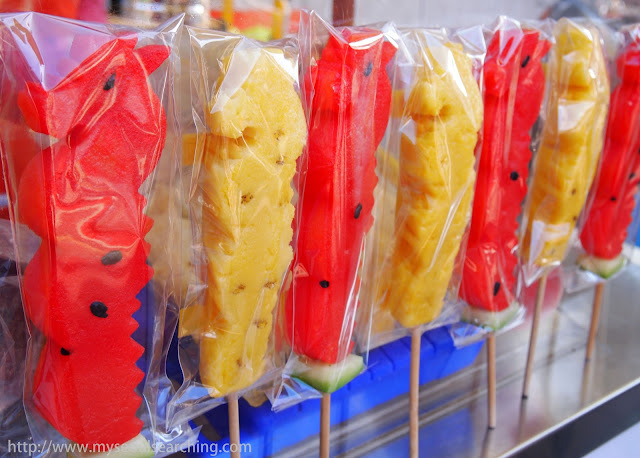 On display were adorable slices of pineapple and watermelon shaped into dragons. Sure, the fruit wasn't exactly traditional and the snacks were entirely gimmicky, but I purchased one to satisfy the kid in me. Cute "dragon fruit" on a stick. 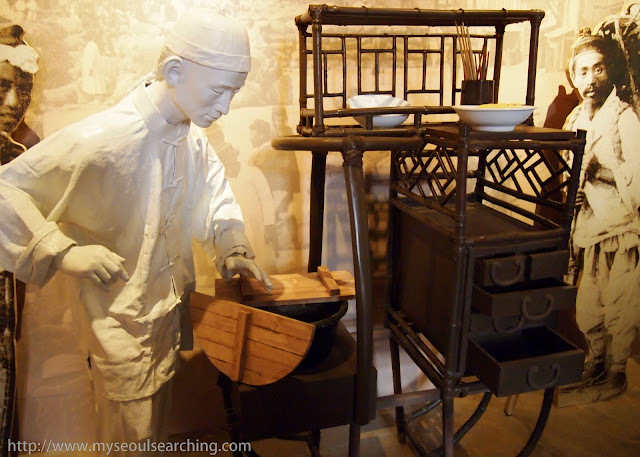 Of course, a visit to Chinatown wouldn't be complete without a bowl of jajangmyeon, black bean noodles, but not before checking out the Jajangmyeon Museum. The Jajangmyeon Museum is decorated beautifully and although there is little information available in English, there are a nice selection of displays and exhibits. 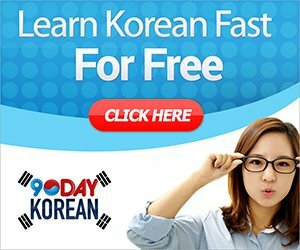 One can explore the history of the Korean-Chinese dish, from its creation by early Chinese immigrants in the early 1900s to the pinnacle of its popularity. I was shocked to learn that 7 million dishes of jajangmyeon are consumed daily, making it the most popular delivery food in the country. I particularly liked the cheolgabang exhibit, which displayed a variety of delivery boxes, from the early wooden cases to the stainless steel ones used today. There was also an entertaining video featuring scenes of jajangmyeon in popular Korean movies and dramas (like this one from Coffee Prince). What jajangmyeong vendors looked like back in the day. 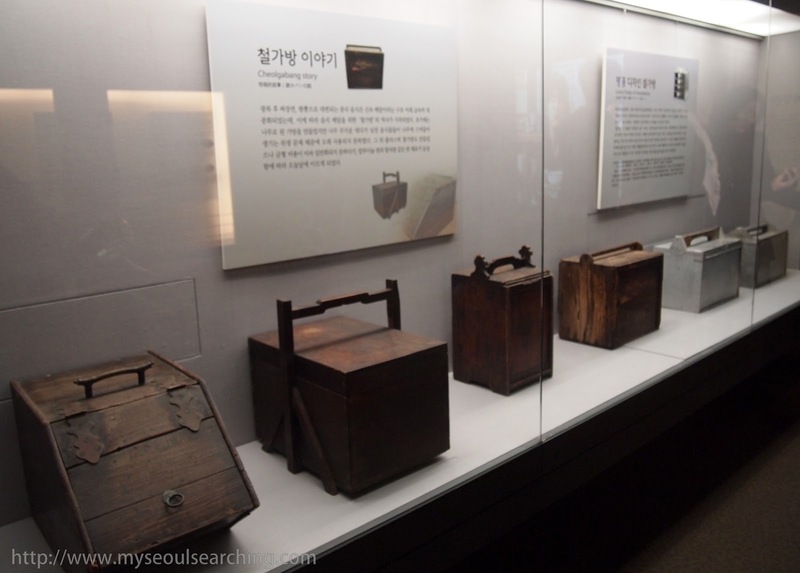 This exhibit shows how Korean food delivery boxes have progressed over the past century. 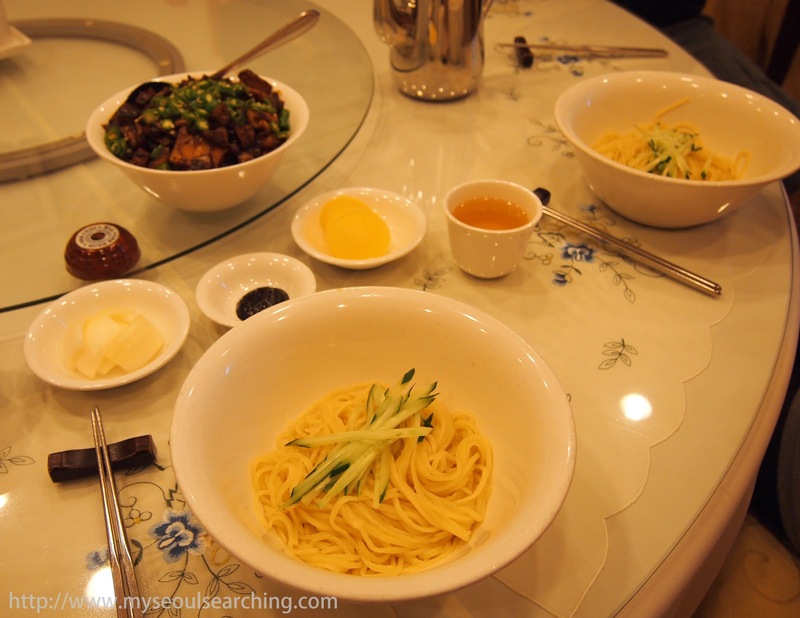 Having brushed up on my knowledge of the famous noodle dish, we headed to Gonghwachun, arguably the first restaurant to ever serve jajangmyeon. 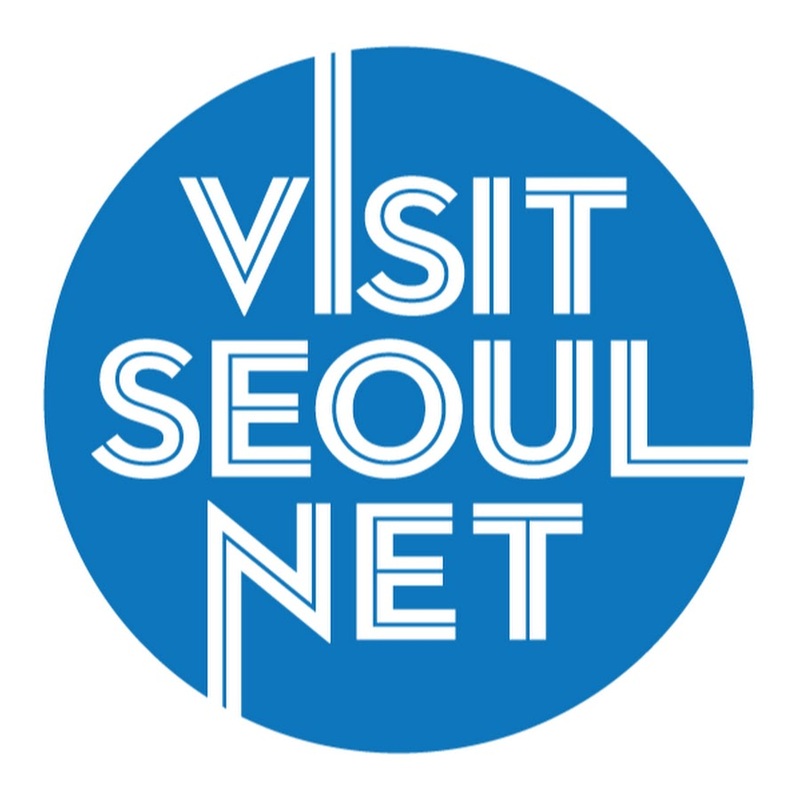 (Apparently the original one is actually the site of the jajangmyeon museum.) 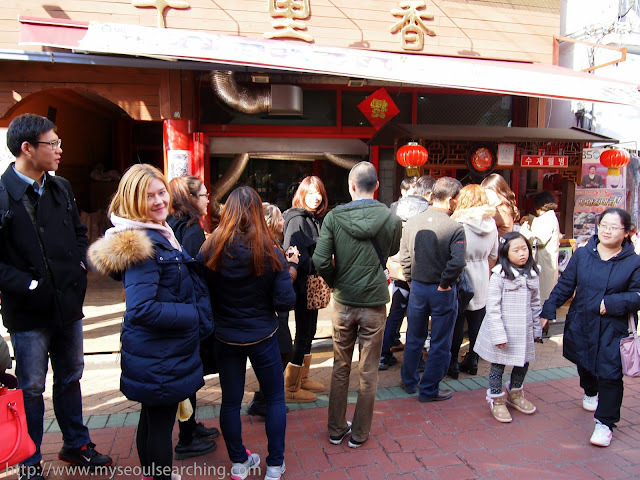 Even at four in the afternoon, the place was packed with diners hungry to try Chinatown's most famous black noodles. 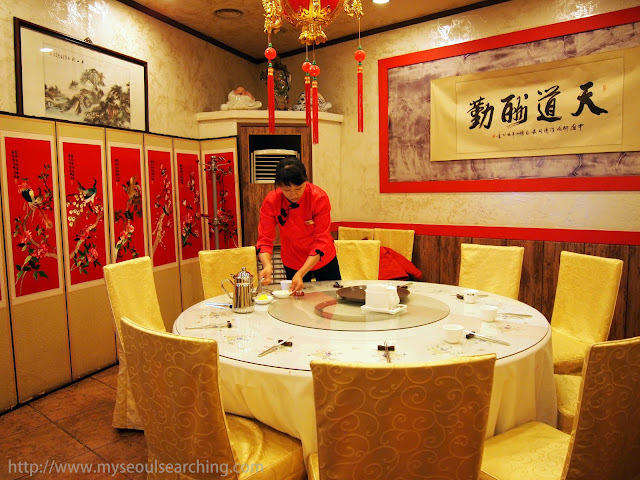 We were seated in a private dining room adorned with red lanterns and ink paintings. Chopsticks were placed in front of us immediately, as were two big bowls of noodles topped with shredded cucumbers. Finally, a heaping serving of seafood and vegetables smothered in the signature caramel black sauce arrived. After mixing it up, we slurped the hearty noodles down quickly, though not in three bites, as the real jajangmyeon fanatics often do. It was actually the first time I tried the dish, as I had previously been turned off by its less than pleasing appearance. I quickly realized I had been missing out. Our private room at Gonghwachun Jajangmyeon Restaurant in Chinatown. I was so anxious to dig in that I forgot to take a picture of our meal AFTER it was mixed. Our lovely day in Chinatown came to an end as we headed off to Samcheok, our next filming location. The trip was as memorable as my first visit to the area and I'm certain I'll be back again, perhaps on April 14th, "Black Day", when singles around the country drown their sorrows in black bean sauce. After all, a man (or woman) can't always make you happy. The eats and treats of Chinatown, however, most certainly can. 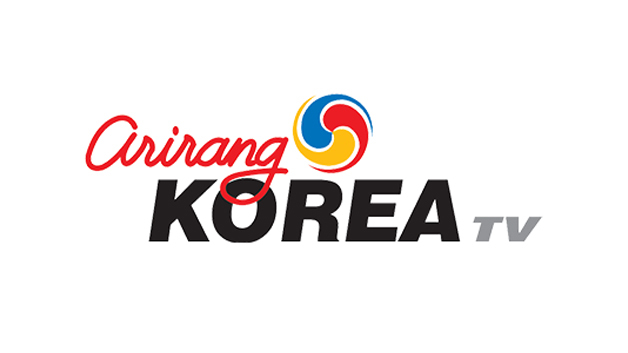 To get to Chinatown: Take the Seoul subway to Incheon Station (Line 1). Go through exit 1 (the only exit). Look for the Chinese gate across the street to access Chinatown. Maps are posted in English and you can also pick up guides are various info booths throughout the neighborhood. Restaurants and vendors mentioned in this post are all on the main food strip, Chinatown Street. 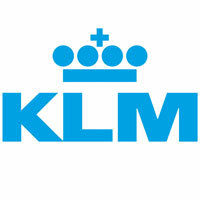 For tour maps, click here. I'm pretty certain I won't remember the name of a single dish I eat in Korea, they look really complicated. That passerby on the street is damn hot. Thanks for sharing, many dishs look awesome!